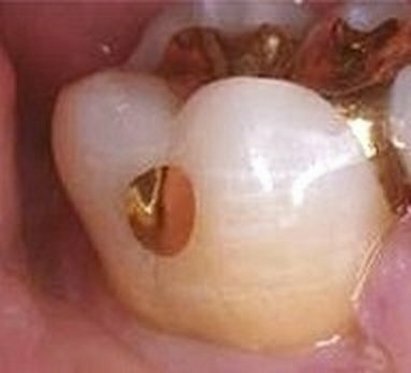 Direct Gold Fillings (more commonly called "Gold Foils") are made from either gold foil or a mixutre of gold foil and gold powder. The decay is removed, the gold foil is compressed into the cavity preparation, then the filling is polished, resulting in a conservative and beautiful restoration. Direct gold is the oldest dental restorative material to date and also produces the most durable and predictable restorations we can provide. It gives the best and closest fit in the cavity prepation, which means there is less chance for stain and new decay around it than with any other dental filling material. 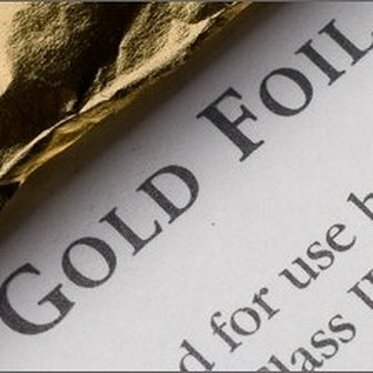 Sadly, most dental schools today no longer teach students how to place gold foils. 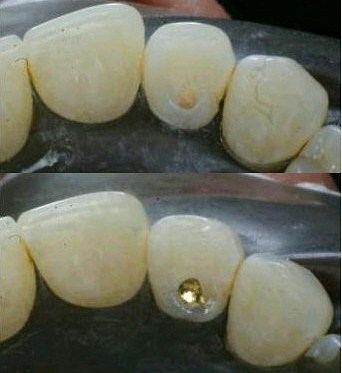 This is partly due to economics, as the cost of gold fluctuates, partly due to the much more sensitive technique required to place these restorations, and partly due to today's marketing trends toward "esthetic" dentistry. The fact is that these restorations, when placed properly in an appropriate location, are beautiful and most often not visible in the smile. Fortunately, the instructors at the Medical University of South Carolina School of Dental Medicine understood the benefits of using gold foil to repair teeth. Drs. Brian and Mary learned how to place gold foil restorations during their training and have continued to use gold foil in their practice.